The fruit ranges from blunt pointed to an ovate shape, is orange coloured and with no aureole. It always has a visible navel, is seedless and is a fruit of great quality. As it does not contain limonine, it does not develop the characteristically bitter taste found in other Navel varieties. The fruit peel is thin-skinned, with visible essential oil glands and a moderately sticky pulp. Oranges can be stored at cool temperature for a day or two, but then should be stored in the refrigerator crisper or drawer, away from vegetables for up to two weeks. 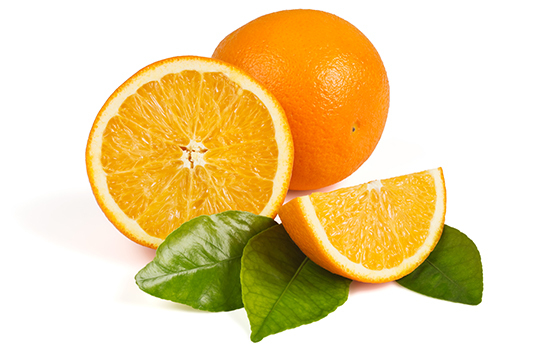 Select oranges that are well-formed, firm and heavy for their size with a smooth skin surface. Tan or brown speckling on their skin, known as "russeting" does not affect the eating quality. If Powell Navel is stored in the refrigerator, take it out and leave it at room temperature to increase its flavour before eating. Wash oranges thoroughly before cutting.